If you use contact lenses and you now wear bifocal or progressive glasses, you may be wondering ‘do they make bifocal contact lenses’?. The answer is yes, although they’re not typically referred to as ‘bifocal contact lenses’. The most commonly used term to refer to these types of contact lenses is ‘multifocal contact lenses‘. They may also be called contact lenses ‘for presbyopia’. If you see either of these terms in the name of a brand, they are essentially what you can think of as bifocal contact lenses. One of the reasons why multifocal contact lenses (or contact lenses for presbyopia) are not called ‘bifocal contact lenses’, is because they do not work the same as bifocal glasses at all. Traditional bifocal lenses for glasses have a distinct segment at the bottom of the lenses that have a different focus than the top part of the lenses. Hence the name ‘bi-focal’. Over time, having a conspicuous line going right through the lenses in our glasses became unsightly, undesirable, and strongly associated with the idea of ‘getting old’. For that reason, today bifocal lenses have largely been replaced by ‘progressive lenses. 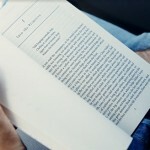 Progressive lenses are similar to bifocal lenses, in that the top and bottom of the lenses have a different focusing power. But instead of having a line, and an abrupt shift between the two powers, progressive lenses have a gradual change in power from the top to the bottom. The result is a lens that allows people to see clearly in the distance as well as up close without a line in their lenses which makes them ‘look old’. Are multifocal contact lenses like progressive lenses? Kind of, but not really. Multifocal contact lenses are more similar to progressive lenses than bifocal lenses, in that there is no line in the lenses, but they still function very differently. 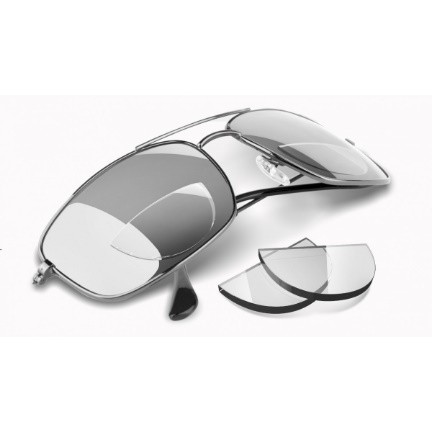 Both bifocal lenses and progressive lenses have a different power in the top and bottom of the lenses. This allows you to look through a different focus depending on where you point your eyes through the lenses. Doing this with contact lenses would be utterly pointless because you cannot choose which part of the contact lenses you look through. Once you put on your contact lenses, your eyes will be looking through the center of the contact lenses regardless of what direction your eyes are looking. 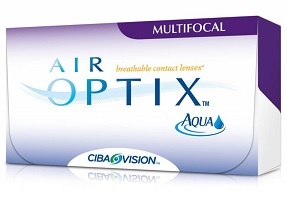 Air Optix Multifocal is a good example of multifocal contact lenses. 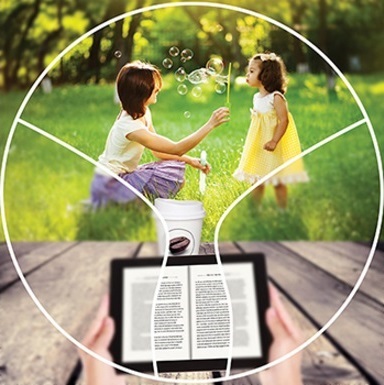 Broadly speaking, multifocal contact lenses combine the focusing power you need for both distance and near viewing in the center of the contact lenses. These lenses then rely on your brain to automatically use the part of the lens that you need for the distance at which you’re looking. Of course, there’s a little more to it than that, but in a nutshell that’s how they work. You might think that such a system could not possibly work, and you would be partly correct. Are multifocal contact lenses perfect? No, in fact, multifocal contact lenses are far from perfect. Even in the most ideal of cases, you are only expected to see about 85% of your best potential vision with multifocal contact lenses. For some people, that’s not acceptable, and those people are simply not good candidates for multifocal contacts. But for people who can tolerate a little bit blur in their vision in order to have the freedom of not having to use reading (or distance) glasses, multifocal contact lenses are a god-sent. Can anyone wear multifocal contact lenses? Dry contact lenses can be irritating. No. Even if you can tolerate the little bit of blurriness that multifocal contact lenses cause, you still have to have be able to tolerate contact lenses in general. Multifocal contact lenses are not needed for people under the age of 40-45. Generally, by the time you start needing multifocal contact lenses, your eyes are more sensitive to contact lens-induced dryness. This may make wearing contact lenses too uncomfortable for certain people. 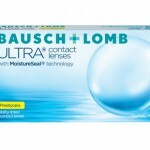 What are the best multifocal contact lenses? There isn’t an all around ‘best multifocal contact lens’. There may be a ‘best multifocal contact lens’ for you, but which one that would be is impossible to know unless you are professionally fitted by an optometrist. To answer your question: ‘do they make bifocal contact lenses?’ Yes, they do. They’re just not called that, and they don’t work the same as bifocal glasses (at all). If you want to try multifocal contact lenses, the best way to get started is to bring it up with your optometrist at your next eye exam.